Dreissena polymorpha, or zebra mussel. They originated in the drainage basins of the Black, Caspian and Aral Seas. Over the past one hundred and fifty years, they have spread throughout the inland waterways of western Europe, and into Great Britain. It is believed they traveled to North America as stowaways, most likely as veliger larvae in the freshwater ballast of European cargo ships, and were inadvertently deposited into the Great Lakes through unregulated ballast water discharge; a method of entry that, over the years, has introduced many other exotic species into the region, but nothing quite as serious as the zebra mussel. From 1986 to 1994, zebra mussels have spread from the Great Lakes into several major river systems, including the St. Lawrence, Hudson, Illinois, Mississippi, Ohio and Tennessee Rivers. They have been reported in several inland lakes, including lakes in Ontario, Michigan, Indiana, Ohio and Kentucky. And the spread continues. From 2001 to 2010, zebra mussels have spread into America's heartland as far north as Minnesota and down into Oklahoma, Louisiana, and Texas. They've even made their way into Colorado, Utah, and California. In the case of recreational water users, the losses are often more than just financial, and all too often, the damage is irreparable. Many of those impacts go unnoticed because they happen underwater, out of the public's view. Some of the historic shipwrecks in the Thunder Bay Underwater Preserve near Alpena, MI, date back to the bustling lumber era of the 1800s. There are 26 known shipwrecks in the bay, with a reference list of 120, so there are many more yet to be found. A major concern is that they'll be buried forever under colonies of zebra mussels. Zebra mussels can impact commercial navigation and recreational boating. They can damage boat hulls, engines, buoys, docks and piers. Beaches in infested areas can be littered by shells that are washed up by storms. Decaying mussels produce a nauseating stench, and their razor sharp shells are hazardous to bare feet. Zebra mussels are not viable for human consumption primarily because of their small size, repulsive odor, and potentially high contaminant levels. There are some species of fish and water fowl that feed on zebra mussels, but at this point in time, the impact of natural predation in controlling their numbers is relatively insignificant. Municipalities, such as water treatment plants and power companies are among the raw water users that are susceptible to zebra mussel invasion. It’s a problem that could leave unsuspecting communities vulnerable to potential shut-downs. It happened in Monroe, Michigan. Massive infestations of zebra mussels shut down the community water facility, and wreaked havoc at the Edison power plant. ﻿Out of all the problems and adverse effects zebra mussels have had on industry and recreation, there is something much more disturbing taking place, and the results could be catastrophic. Infestations of zebra mussels will filter all the potential food and nutrients out of the water column. They use what they need, and deposit the rest in terms of bio-deposits, or feces and pseudo-feces on the bottom. Other organisms and invertebrates that live in the water, such as zoo plankton are not getting the food they need, and will eventually decline. Soon to follow will be the larval fish that feed on zoo plankton, and so on right up the food chain. It's phase one of the paradigm shift. In essence, zebra mussels are turning freshwater systems upside down by filtering massive amounts of organic material from the pelagic or open waters, and depositing it into the benthic system. Zebra mussels have extirpated distinct populations of native unionid bivalves from infested lakes and rivers. The shells of native clams and unionids provide hard substrate for zebra mussel settlement. There have been reports of thousands of zebra mussels per host unionid. Such dense encrustations make it impossible for the host to filter feed and burrow. Even when there is no direct fouling of the shell, native unionids cannot compete with the voracious filtering activity of zebra mussels. At first glance, a zebra mussel looks like any other small clam. They can grow to 2 inches, but most are under an inch long. A distinguishing characteristic is the animal's d-shaped shell with alternating light and dark stripes, hence the name zebra mussel. The shell is thin and somewhat fragile, but provides adequate housing for the tiny little animal that lives inside. Their average life span is three and a half years. Zebra mussels settle in large colonies often numbering into the millions. They produce byssel threads from a gland just behind the foot which they use to attach to almost any hard surface, including each other. They prefer subdued light, and have an affinity for flowing water. Colonization depths will usually range from 5 to 30 feet, depending on water temperature, oxygen, and the availability of food. They feed by filtering microscopic matter from the water, as do other bivalves, and because they are a filtering organism, prefer areas that are rich in phytoplankton. So how could something this small and fragile be causing such a problem? The first clue is in the Latin term, polymorpha. Poly, meaning many - morpha, meaning forms. Costs for water users are expected to soar into the multi-billions of dollars over the next five to ten years. And it isn't just municipal and corporate water users that need to be concerned. Zebra mussels will effect everyone who picks up a glass of water. It is only a matter of time. For a DVD copy of the documentary River Invaders: The Scourge of Zebra Mussels visit our DVD Gallery. 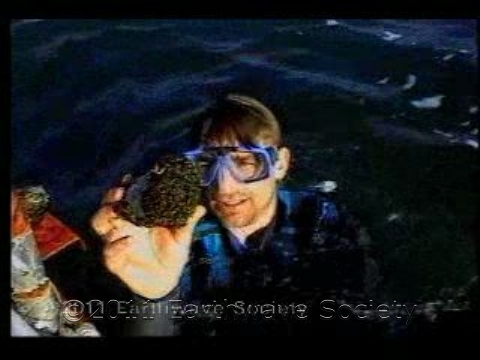 A web version of River Invaders: The Scourge of Zebra Mussels can be viewed online at the EarthwaveSociety Channel on YouTube.